Signs requiring power used to have to either be plugged into an electrical outlet or wired with a battery, but these days, you don’t necessarily need a power source to keep signs powered up. 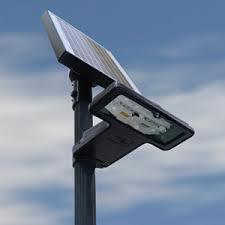 There are solar signs that rely on the sun to provide power to their signage at no cost to you and your business. These solar-powered signs are very convenient for companies that want to keep costs down while illuminating their signs. With solar-powered LED signs, you can attract attention to your business and cut back on the amount of energy you use on a daily basis while doing it. Solar-powered signs are a great option for many companies, and you’re sure to appreciate the convenience and sustainability of a self-powered commercial signs at your business. Shop our solar signs online or learn more by giving us a call today.